Being able to work from home has become a necessity for a lot of Filipinos. It allows them to spend more time with their family, save money on food and clothes, and escape the mind-numbing traffic. Meanwhile, more companies are hiring remote workers to get the best possible candidates for a role while also saving on space and money. 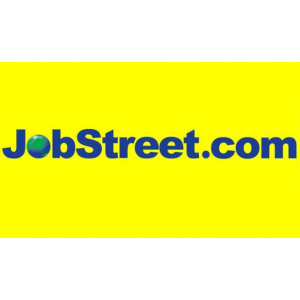 JobStreet.com, the no. 1 job site in the Philippines, responds to this growing need by offering job seekers a dedicated page for work-from-home opportunities, making the job search easy and more efficient. The page recently went live on the last week of October. “With this new feature, we hope to make the search hassle-free for both the candidate and the employer,” said Philip Gioca, Country Manager, Jobstreet.com Philippines. Some of the companies that advertise home-based jobs on the site include RemoteStaff, SPN, Teleperformance, 51Talk, and goFLUENT. Is a work-from-home job for you? The benefits of remote working are can sometimes far outweigh office-based jobs. According to a study by PGi, a leading provider of collaboration software and services, improved productivity isn’t the only benefit of working from home: 82% reported lower stress levels, 80% experienced higher morale, and 69% reported lower absenteeism. However, Gioca cautions that not everyone is cut out for a home-based job. “Although most of us would want to work at home, there are still some points to consider before taking the final leap, such as your ability to hold yourself accountable to finish your work on time and your general temperament,” he said. 1. Can your job be done easily from home? 2. Do you have a dedicated workspace at home to work from? 3. Do you prefer a flexible working environment or a fixed structure? 4. Do you work better alone or with your team members? 5. Does your job require a high degree of face-to-face collaboration? 6. Are you self-organized and comfortable working independently? 7. What is your key motivation to work from home? If it turns out that a home-based job is not for you, there is still hope. “There are a lot of companies that offer telecommuting or working away from the office as a work option, and a number of them advertise on Jobstreet.com,” Gioca said.